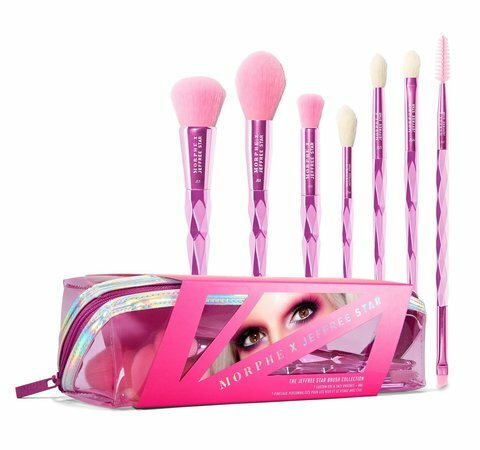 A jaw-dropping, beat-creating brush collection from our fiercest of fierce babes, Jeffree Star. 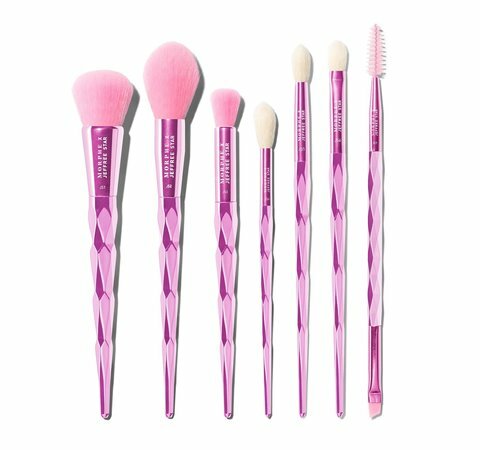 You’ll live for these seven iconic, custom brushes that kick sass and take names. You. Better. Work. Bigger is totally better, babe. Especially when it comes to your foundation brush. The rounded, large-and-in-charge head will help you blend, buff, and cover in all the right places. Pores? Never met her. Selfie, here you come. Chisel those cheekbones, mama. You’ll be livin’ for the small, dense bristles that make it easy to handle any detailed contouring job. Slays well with powder and creamy or liquid products. Hi, highlight. How are ya? 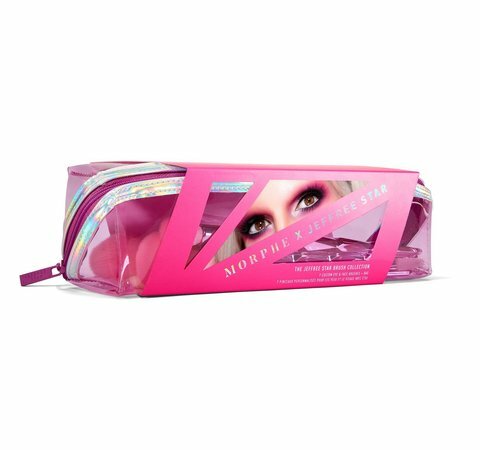 We all know Jeffree is obsessed with a highlighter you can see from outer space. Can’t say we blame him. 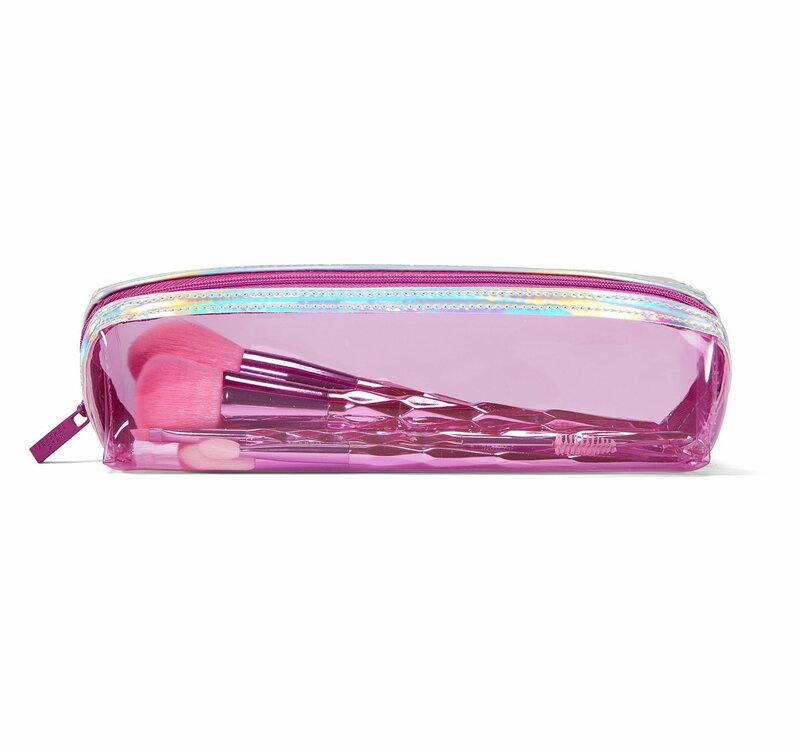 This au naturale brush will take you there. Get all the details and a new crease on life. 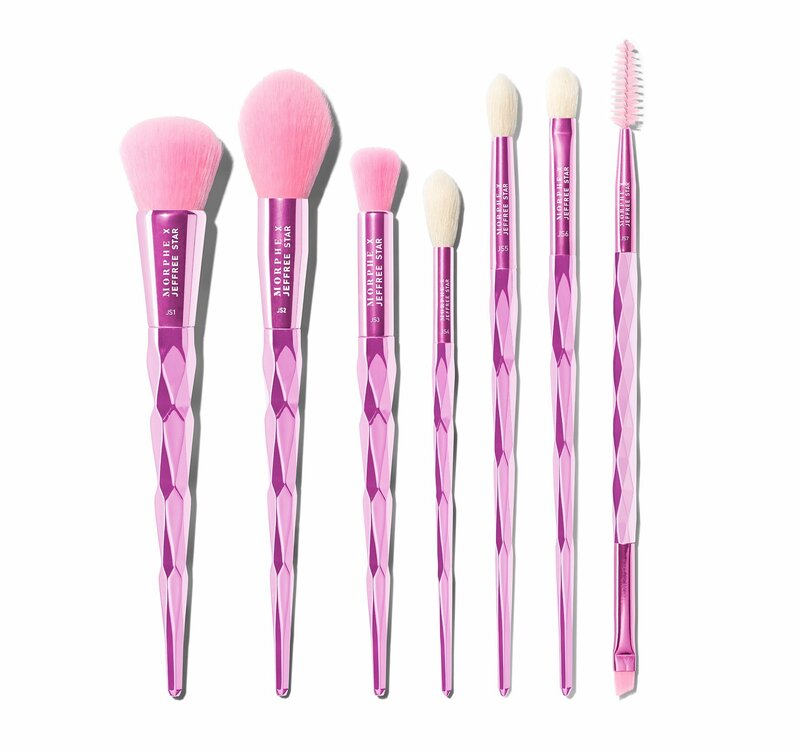 The longer bristles allow you to place color in all the right spots and buff out to perfection. Yes, mama. Do what you will with this brush. There are no rules. But it’s perfect for carving out chiseled eye looks and knows how to drop bold, opaque color in the blink of an eye. Just sayin’. There are two sides to every story. This double-ended dream knows how to bring the drama. Use the angled end for drawing on brows with your fave cream products or use with concealer to brighten up that brow highlight. Turn to the spoolie end to brush out any harsh brow lines, leaving you with soft, natural arches. “Very iconic and very chic with a little pink peek-a-boo vibe to it and silver holographic detailing. Girl, I wanted it to be very me."